This fourth edition updates the basic truck engineering data from previous editions and introduces the latest advancements in electronic applications to truck power trains and operations, assuring optimum performance and economy with a safer and cleaner environment. Useful data from official government tests on anti-lock brakes and traction enhance this edition. Likewise, environmental concerns are addressed through the use of non-polluting vehicles using alternative fuels and electrical energy. 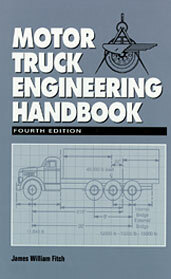 If you do not have access to SAE MOBILUS via username/password or institutional access, you can still purchase the Book, Motor Truck Engineering Handbook, Fourth Edition.